MSOE’s MSAE degree emphasizes building structural design and analysis. It meets the needs of architectural, civil or structural engineers who desire increased knowledge to design structural systems for modern buildings. It’s a flexible program, with courses offered evenings with the option of a two-, three- or five-year program. 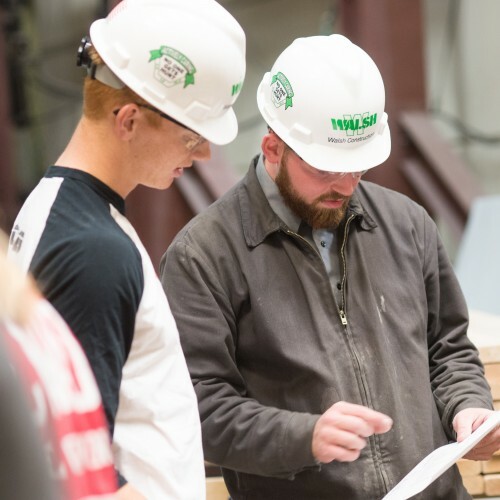 MSOE’s Master of Science in Architectural Engineering (MSAE) degree allows specialization in either the analysis and design of building structural systems or the analysis and design of building mechanical, electrical, and plumbing systems (MEP). It meets the needs of architectural engineers who desire increased knowledge to design structural or MEP systems for modern buildings. MSAE courses focus on advanced topics on the analysis and design of building systems. Courses are taught by faculty with extensive practical experience as well as academic credentials. Course work has been planned to show practical applications of engineering theory. Classes are scheduled to allow students to attend class while working in industry. The Master of Science in Architectural Engineering program currently is being offered as either a full- or part-time program and can be completed in five years or less. The MSAE is a flexible program, with courses offered evenings with the option of a two-, three- or five-year program. Classes meet one evening per week during the academic quarter. Students enrolled in MSOE’s bachelor in architectural engineering program may pursue a dual degree. The MSAE program requires completion of 45 graduate credits, with at least 36 of the credits obtained in technical specialty courses. There are two curriculum tracks available – the Capstone Report Track and the Capstone Project Track. Read more about MSOE's M.S. in Architectural Engineering graduate degree. Get to know our distinguished CAECM faculty!